This week came a huge blow to Environment Minister Greg Hunt and the controversial Abbot Point coal port development he approved late last year. New documents obtained by Greenpeace emerged this week, revealing the extent of the Marine Park Authority’s opposition to both the dredging and proposed sea disposal of the dredge material. The draft reports, dating from 2012 up to August 2013, strongly advise against the dredging and dumping finding they posed an “unacceptable social and environmental risk” with the potential for “long-term, irreversible harm harm to areas of the Great Barrier Reef Marine Park, in particular seagrass meadows and nearby coral reefs”. The GBRMPA advised the Environment Department not to approve the dredging, finding that both the reef and vulnerable species could be at risk. Yet against their own scientific findings, on January 31st the GBRMPA gave the green light for offshore dumping of dredge waste within the marine park area. This complete u-turn reveals the extent of the political pressure placed on the Authority to approve the Abbott Point coal port development, particularly after Greg Hunt approved the dredging against their advice. While most reasonable people could see that massive industrialisation in an environmentally sensitive area would be damaging, the reports reveal the true extent of the political motivation driving the Abbot Point development. The documents put to rest any argument by Greg Hunt or North Queensland Bulk Port’s arguments that the project will not cause damage the reef ecosystem or the even more ridiculous claim that water quality will actually increase. The truth of this shady business is being revealed, but whether it will make any difference to the final outcome is unknown. Last Thursday, the crowd-funded legal action against the dumping was filed in Brisbane by the North Queensland Conservation Council with high hopes that the decision will be overturned. 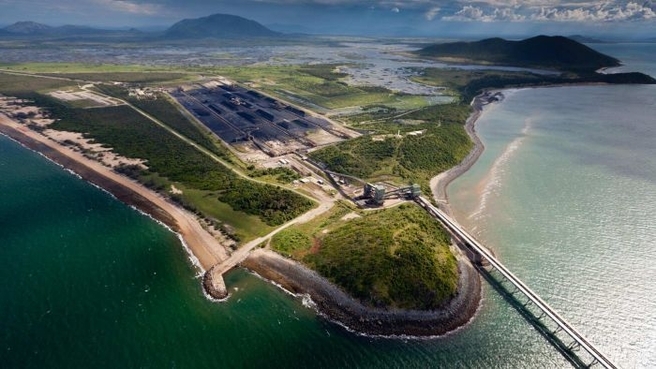 Growing public opposition to the project is not going unnoticed with major construction firm Land Lease the latest to pull out, hot on the heels of BHP and Rio Tinto, eager to disassociate themselves from the toxic Abbot Point name. A copy of the original draft report obtained by Greenpeace can be found here.